Demonstrating that sometimes Speak Up on Kotaku only needs to be a single link with a little color commentary, colorful commenter Killer Toilet shares with us a little holiday gift buying tip courtesy of Fox News' Kim Kommando. Fox be trolling the 3DS. It's apparently for children "too young for smartphones". They call it a "DS3" and claim it's only a 3D model. 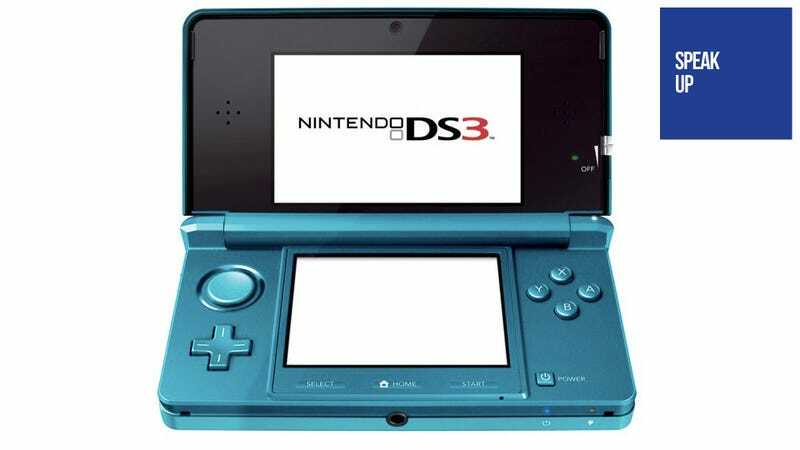 If you have a kid who's too young for a smartphone, there's nothing wrong with getting a Nintendo DS (starting at $100) or DS3 (the 3D model, $170).